¿Cómo llevamos esta mañana lo de las tuercas? ¿Van aguantando? SharedTesting on Friday? "It won't happen. 100%"
The unusually cold weather - and the forecast for worse, with the potential of snow even on Wednesday - has got the teams thinking about how to maximise this week. And one proposal is to postpone running on Wednesday and use Friday instead. The problem with it is that it requires unanimous agreement of all the teams and Williams have a ‘filming day’ scheduled for then. So far, Williams have not been asked to move the date, and one source close to the situation said: "It won't happen: 100%." 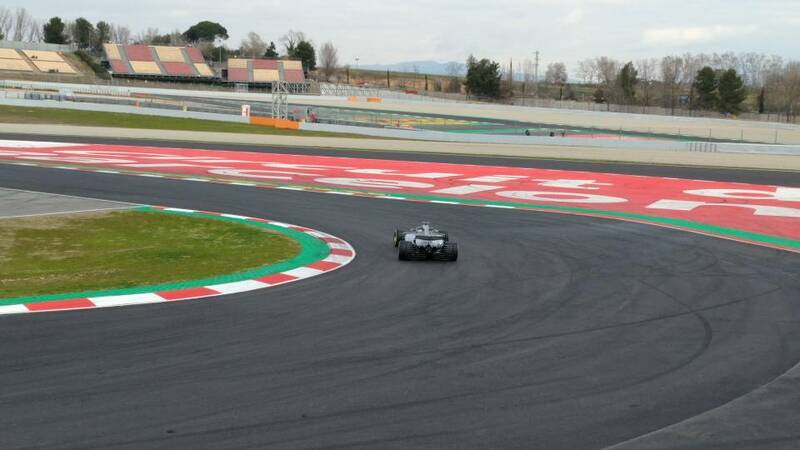 How did Williams do on the first day of testing with the new car designed under the new design leadership? Lance Stroll was ninth fastest and 2.273secs off the pace. Y 25.0, se debe empezar a poder rodar. Ojala Liberty tenga lo que hay que tener y mande a tomar por culo a los matones del barrio. Mercedes y Ferrari están "trabajando como un solo equipo" para dar forma al futuro de la F1 en beneficio propio, según Christian Horner. (27-02-2018, 11:55)German Sanchez escribió: Ojala Liberty tenga lo que hay que tener y mande a tomar por culo a los matones del barrio.